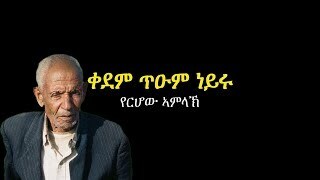 Ato Kubrom Dafla, in his Radio Erena broadcast of August 6, 2018, outlines a good list of demands Eritreans would be wise to rally around to help re-orient the nation’s direction towards a more hopeful future. Starting at minute 49:03 (https://shekortet.com/content/radio-erena-06082018), he breaks down general and specific demands tailored for different groups to adopt and champion. This is a timely list that organizers of the upcoming August 31st Geneva demonstration are hopefully taking into consideration. As outlined in the press release in assenna.com (https://assenna.com/press-release-update-on-the-planned-geneva-event/), three groups are working on the August 31st demonstration. Group one and two are responsible for publicity and logistics. Group Threewhich is “tasked with creating the mechanism for the election of global leaders by involving all the constituent groups of justice-seekers in the Diaspora”, caught my eye. I am not sure what this means exactly. But I hope it means this group will harness the energy of the day for continued post-demonstration engagement, for the sole purpose of creating peace within Eritrea first. Without internal peace, Eritrea remains ripe for exploitation or, worse, extinction. I have not met Selam Kidane. But for me, through her writings and interviews, she comes across as one of the most sensible activists we have. I hope Selam, and others with her temperament, will be well represented in Group Three. The group should also include faith leaders who can drill down a consistent message of peace and brotherhood valued by their holy books, to their mosques and churches. Mosques and Churches have the widest reach, and they can truly maximize the chances of success if they take this on. The rift within the Orthodox Church must be reconciled so congregants and families can be whole again. All Faith leaders from all persuasions can and should amplify the exemplary moral leadership of our courageous Catholic bishops to make “where is your brother?” the nation’s rallying cry for freedom and human dignity. To build peace within, this group should also strive to help us escape the “opposition”, “pro-regime”, religious and regional prisons we have locked ourselves into. We need to learn and use a new language that is forward looking. We need a new and softer tone that is inclusive, to help save Eritrea from its death spiral. “Mass enslavement” of its people – as The Economist of August 4th called it – is what Eritrea is known for today. Given the new worrying developments, words like “opposition” or “pro-regime” should have no meaning or place in our dialog anymore. Level-headed people from all sides need to come out and seek each other to create this critically missing peace within. That way, united in common purpose, we can negotiate peace with Ethiopia or other neighbors with strength and dignity. As encouraging as the talk of peace with Ethiopia is, it is impossible to have peace with others unless one is in peace with oneself first. The opaque dialog with Ethiopia, Saudi Arabia and UAE is conducted by a single individual -- “a despot-for-life”, as The Economist calls him. This has not, and will not serve the interests of the Eritrean people. We, the people, should demand to know what was signed off on our behalf and nullify them if necessary. For example, Ethiopian businesses have apparently been invited to operate in Eritrea. Generally, competition is good and should be welcomed because, if done fairly, it brings the best in people – in business, sports, education, good governance etc. But what appears to be in store for us is competition with both hands tied behind your back. This will condemn future generations of Eritreans to a life of perpetual poverty and servitude. For decades, Eritreans have been barred from pursuing opportunities to build a better life for themselves. The regime has persistently chosen practices that favor poverty over prosperity, leaving Eritreans with little or no chance to accumulate capital or know-how. As a result, well equipped outsiders will have much better chances of owning the bulk of Eritrea’s economy, condemning Eritreans to second class citizenship in their own country. There are plenty of sad examples to learn from. Less than 5% ethnic Chinese in Indonesia, Philippines and many Southeast Asian countries own over 60% of their private economies. Lebanese in West Africa and Indians in eastern and southern Africa have similar dominance. The crippling economic disadvantages local populations suffer from in these countries, is sure to be mirrored in Eritrea unless we rise up to take ownership of our destiny now. This is not to say we should be afraid of outsiders or bar them from coming -- far from it. It is true these ethnic minorities initially worked hard and deserved most of what they got. As a first generation immigrant myself, I can truly relate and appreciate the long hours of toil they must have gone through to build a better future for their children. But it is also true; this virtue gave in to excessive greed and corruption over time. Corrupt politicians were bought, enabling these powerful minorities to accumulate even more ill-gained wealth. This toxic combination of ill-gained wealth and unjust power in the hands of few, inevitably, killing free markets and equality. Sadly, secured by their untouchable wealth and power, these minorities became arrogant and contemptuous of the locals on whose exploitation their wealth is built on. This is going to be the fate of future Eritrean generations if we don’t lay a solid foundation to level the playing field for them now. To take one good example how, New Zealand recently put limits on speculative foreign investors from buying real-estate in the country. Typically, rich foreigners buy at inflated prices making it very difficult for locals to compete. Eritrea’s regime, on the other hand, intervenes viciously to ensure Eritrean professionals are paid much less than their foreign counterparts. 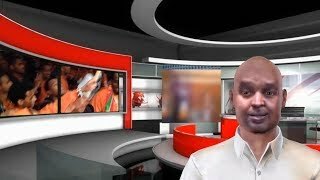 Eritrean professors in Asmara University, with 2 to 3 times more workload, were paid one-tenth the salary of their Indian peers. There can’t be peace within when a government makes it its mission to actively crush the human spirit so routinely. Here is a very likely but preventable scenario. Ethiopia and Eritrea have apparently agreed to open borders. If there is no peace within Eritrea to give hope to Eritreans that life is going to be better at home, many will cross to Ethiopia. Over a hundred thousand have crossed already in spite of an active “shoot-to-kill” policy. So, we can’t expect this will stop unless the situation at home becomes more hopeful very soon. And in the long run, life for those crossing into Ethiopia may not be much better either. It is unlikely they will be treated with the same respect their forefathers commanded in Ethiopia before. Many decades ago, Eritreans in Ethiopia were better off economically, educationally and professionally. Relatively speaking, then, Eritreans were better equipped for success. The roles are reversed now. While Ethiopia was investing in education and infrastructure; Eritrea has fallen behind like never before. Perceptions among the first 400 Ethiopians who flew to Asmara in July was that, those who knew Asmara before were deeply saddened by its decay; and those who didn’t know it but came out of curiosity were surprised by the lack of progress compared to their homeland. As Eritreans cross to Ethiopia to escape “mass enslavement” at home, Ethiopians will flow in the other direction to fill the vacuum and to take advantage of business opportunities being promised to them. Short on capital and know-how, Eritreans who stay in Eritrea are more likely to be employees of Ethiopian businesses than empowered competitors and owners of their own destiny. Additionally, although Eritrea shares no census data publicly, I saw a government document in 1998 showing the population at 2.79 million. Let’s assume it is 4 to 6 million now. 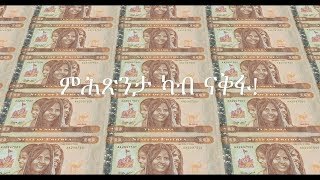 Ethiopia is a nation of 100 million. If this open borders talk becomes a reality, without serious thought to the damage it will bring to Eritreans, Eritrea’s population could be majority Ethiopian in few years. Will we then have Eritrea without Eritreans? Unless the situation of the last 40 plus years of one man making all decisions for the whole nation is reversed soon, Eritrea as a nation will die. Hopefully not, but it may have actually died already, since we don’t know what has been signed off with Ethiopia, Saudi Arabia and UAE. With our inability to create the much needed peace within that would have enabled us to speak with one loud voice, we, the people, wasted precious time dissing each other to let things get this bad. We alone allowed this to happen and there is no one to blame but us. So, this is the time to redeem ourselves as a people again. And this may be our last chance. No matter what our past affiliations were, we simply must throw away our old corrosive attitudes and practices, and come together to chart out a fresh start. Hopefully, Group Three will show the way, with our full support, of course. I am not opposed to union with Ethiopia or with other countries in the region. IGAD was and can be a good model. An EU type of union, where partnership is based on equality that does not compromise peoples’ dignity is preferable and achievable. 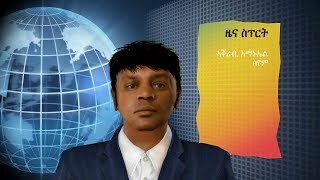 But the fire-sale of a nation, as we seem to be witnessing from these early indicators, will surely compromise the dignity of future Eritrean generations and forever condemn them to second class citizenship with little chance of becoming the primary owners of their economy and overall destiny. There are numerous and excellent activist models to emulate. One of the good ones is Australia’s GetUp!. I encourage Group Three to take a closer look. GetUp! is driven by “values, not party politics”, which is a perfect way to do away with the opposition/regime-supporter divide that has so far made peace within Eritrea impossible. “Ordinary people are powerful” is GetUp!’s core belief, we can put into practice as well. If we create PEOPLE POWER on a solid foundation of peace within -- and we can -- then we will be taken seriously when we tell Saudi Arabia and UAE that Eritrea is not for sale; that any agreement they currently have will be nullified if it does not benefit the Eritrean people; that they should refrain from causing any environmental damage to all the areas they have access to, and they will bear the cost of cleaning up any damage they may have caused already; that we will no longer allow Eritrean territory be a launching ground for the horrific brutality unleashed on Yemeni children and civilians. Similarly, we can demand the same from Ethiopia; that we will continue the march towards peace with them as equals. But Ethiopia will be wise to note that the Eritrean people (not a despot) are its true partners; that mutually beneficial alliances are only possible when there is full consent from the people; that we should never forget how unilateral decisions taken by feudal Ethiopia of yesteryears drove both countries into poverty and backwardness. It is extremely important Ethiopia does not succumb to those temptations again. By idolizing a “despot”, PM Abiy, unfortunately, pushed the dial back towards the feudal past (https://unfilterednotes.blogspot.com/2018/07/unfiltered-notes-has-demariw-abiy.html). Hopefully, he will recalibrate his priorities soon. But more importantly, it is the Eritrean people who are ultimately responsible for whatever good or bad happens in Eritrea. Borrowing GetUp!’s core belief again, we, the “ordinary people [who] are powerful”, choose to rebuild a new Eritrea as a viable nation that is at peace with itself. Then, and only then, will it be possible to make current and future dictatorships obsolete, and bring power back to the people, where it belongs.